In the past the practice of body psychotherapy has been taken less seriously in professional circles than more traditional psychotherapeutic approaches. * the future for body psychotherapy. 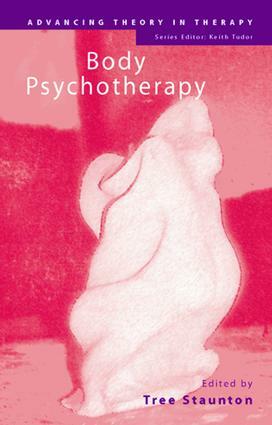 This book shows how body psychotherapy can be healing, reparative and rewarding. It will make essential reading for postgraduates and professionals, whether they are already involved in this field, or wish to learn more about incorporating it into their own practice. Samuels, Foreword. Foreign Bodies. Recovering the History of Body Psychotherapy. Application of Post-Reichian Body Psychotherapy. A Chiron Perspective. Sexuality and Body Psychotherapy. Biodynamic Massage in Psychotherapy. Re-integrating, Re-owning and Re-associating Through the Body. Body Psychotherapy Without Touch. Applications for Trauma. The Use of Imagery in Body Psychotherapy. Psychospiritual Body Psychotherapy. Subtle Bodywork. Body Psychotherapy and Regression. The Body Remembers Past Lives. The Future for Body Psychotherapy.